Why is it hard to stop the smoking habit? 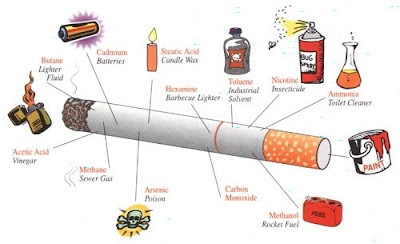 The answer is because nicotine, a substance contained in tobacco. Even, drug experts said that to quit smoking is more difficult than to refrain from the temptation of heroin, because tobacco can make people become addicted naturally. Therefore, the National Institutes of Health, U.S., revealed that a vaccine is found to fight the addiction to nicotine. The National Institute on Drug Abuse, a national health care division, gave the Nabi BioPharmaceuticals budget of $ 4.1 million to build and test an anti-nicotine vaccine, called NicVAX (Nicotine Conjugate Vaccine). American Cancer Society reported that from 44 million smokers in the U.S, 70 percent said want to stop smoking. NicVAX used to stimulate the immune system to create antibodies to inhibit nicotine in the bloodstream and prevent it from crossing the blood-brain barrier and entering the brain. Thus, the brain does not produce the positive-sensation stimulants as a response to nicotine. Another challenge to be faced is when smokers relapse (smoking again after quitting). Thus, the researchers expect that this vaccine can prevent the addiction and make people don’t want to smoking again.